Young people declare that a better internet is #Up2Us! New #Up2Us film created by 150 schoolchildren inspires young people to do something kind online this Safer Internet Day. 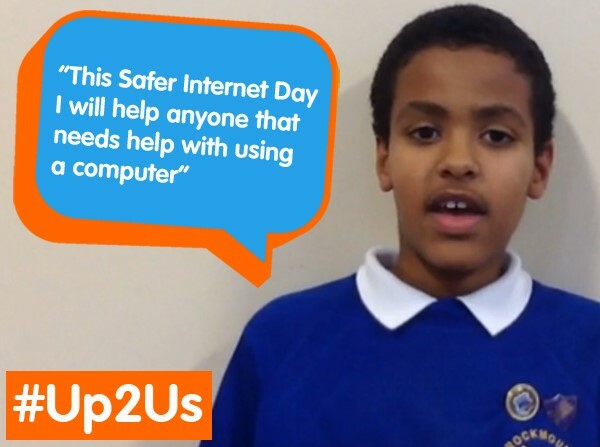 For Safer Internet Day 2015, the UK Safer Internet Centre launched #Up2Us, a film made by over 150 schoolchildren about their online experiences – both good and bad – which aims to inspire young people across the UK to do something kind online this Safer Internet Day. The film features children from schools across England, Wales, Scotland and Northern Ireland and was premiered at events across the UK on 10th February. Share on YouTube and view Subtitled and British Sign Language versions. 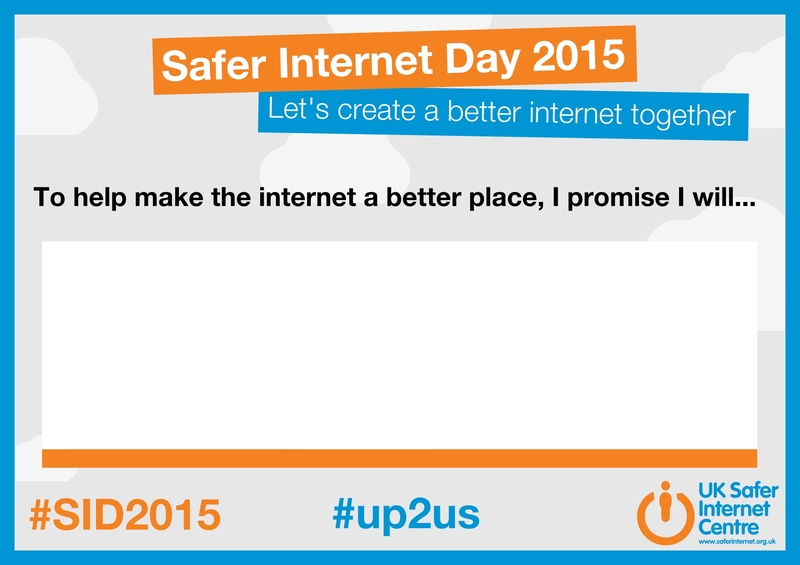 Make a SID promise - creating a better internet is #Up2Us! 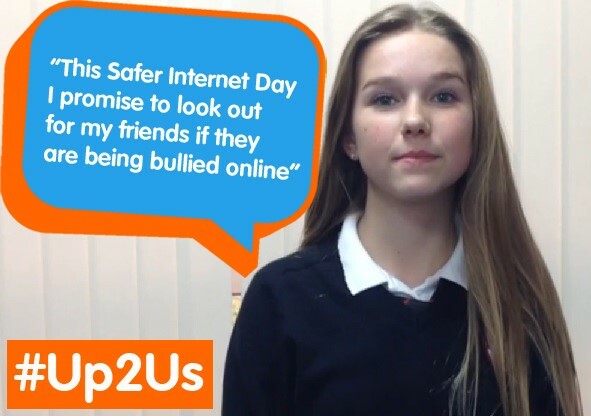 In the build up to Safer Internet Day, we encouraged young people, teachers, parents and organisations to film and share a Safer Internet Day pledge as part of our #Up2Us social media campaign. The pledge is a promise that on Safer Internet Day each person will do one thing to help make the internet a better place. To make it easy for schools to get involved in the campaign we created an Up2Us pledge card that invites young people to write down one thing they will do before the end of Safer Internet Day. Schools and individuals then used a smartphone or tablet to film these promises and create short video clips. Thanks to over 150 young people who were involved in the #Up2Us film!